The first neighbourly gift I was given when we moved into our house twelve and a half years ago was a handful of dried scarlet runner bean pods for seed. 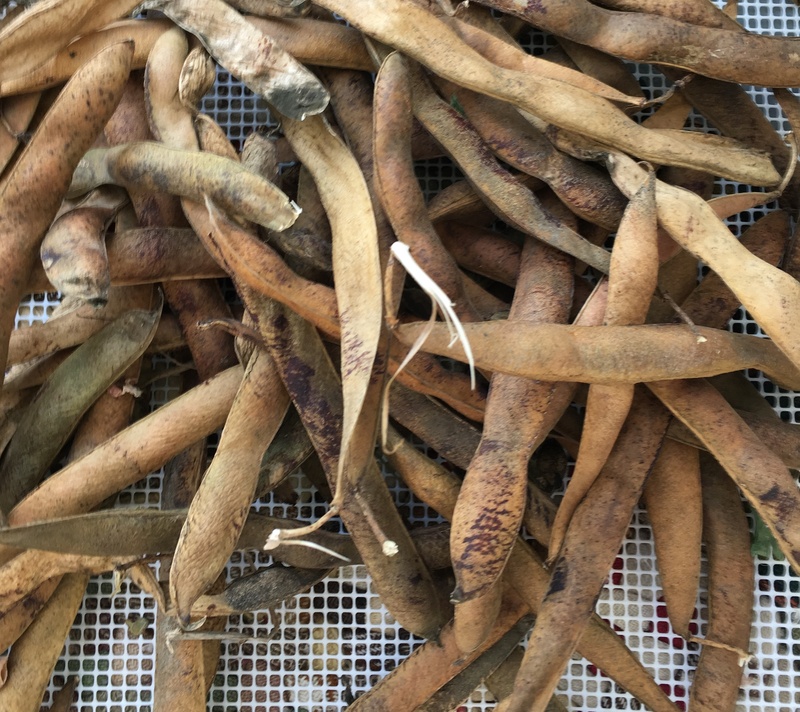 A couple of weeks ago, I harvested the twelfth batch of seed from the descendants of those first beans. The neighbour who gave me those beans has since moved away, and I haven’t seen her for years. But her gift still feeds us every year. Another friend gave us a few raspberry canes about ten years ago. Those raspberries (and their descendant cuttings) now fill a thirty-metre long bed, and yield large quantities of fruit each summer. A few years after the raspberries, my husband drove one of my son’s classmates and his dad to a school outing. In exchange, the dad gave us a couple of gooseberry plants. A few strategic cuttings, and we now pick almost more gooseberries than we know what to do with each year. Around the same time, one of my husband’s colleagues was pulling out some artichoke plants, and asked if we wanted a few. I’ve divided those plants twice since then, and we now eat more artichokes than anyone should be allowed to. For a gardener, these are the best gifts—divisions, cuttings, and seeds from cherished plants. They are gifts that may seem small at the time, but they grow every year.